Mineral Technologies designs, manufactures and supplies the Reading range of magnetic separators which includes: wet high intensity, induced roll, rare earth roll, rare earth drum, low intensity and medium intensity magnetic separators. The WHIMS range includes 2, 4, 8, 16, 32 and 48 poles with either 68 or 120 millimetre rotor separation matrix widths. WHIMS separators are suitable for applications requiring higher magnetic field gradient to remove weak magnetic particles from non-magnetic concentrates. Nominal capacities range from 6 to 150 tonnes per hour. 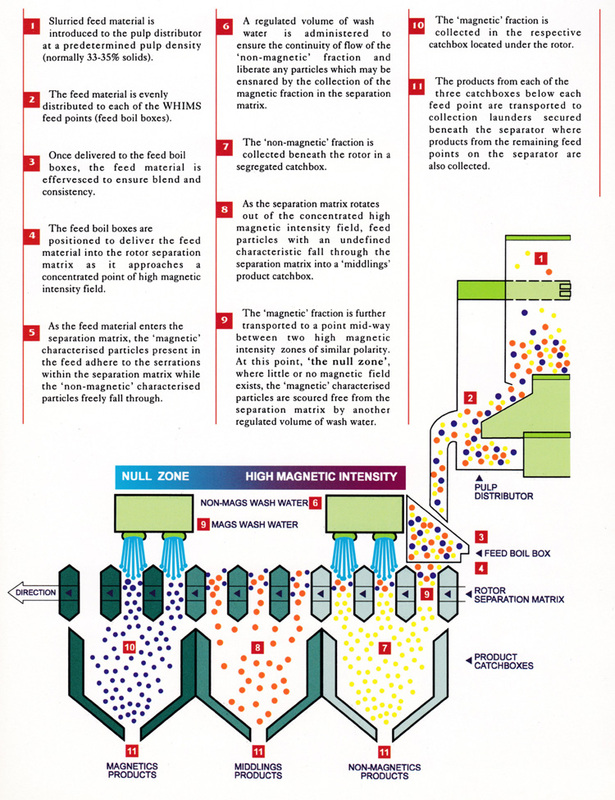 Magnetic gangue removal from cassiterite, tungsten ores, glass sands and a variety of industrial mineral products.